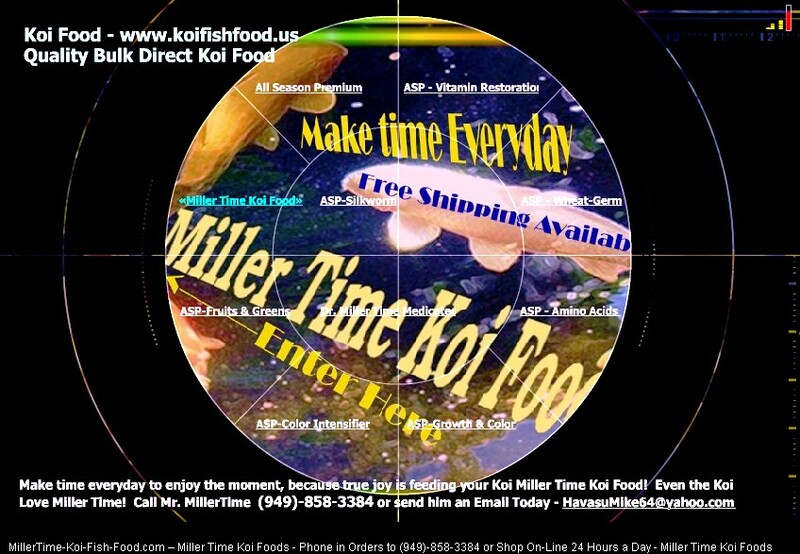 Miller Time Koi Food All Season Pond Koi Food: "Original Blend" © provides an excellent year-round source of easily assimilated marine and vegetable proteins. The generous portion of marine proteins promotes rapid growth. The high vegetable ensures quick and easy digestion in all temperatures. Koi fish over live to be over a 100 years old ??? Watch Dr. Miller tell you! Dr. Miller discusses how Koi Fish can be over 100 years old in Japan - Koi Fish Food High Growth one two and three year growth explained - Can koi fish over live to be over a 100 years old?